Benign congenital hypermobility is a condition in which ligaments, joint capsules and intervertebral discs are abnormally lax or flexible. 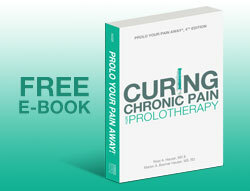 It is an often overlooked but extremely important cause of chronic body pain. Generalized joint hypermobility – loose joints in the entire body – is due to lax ligaments and occurs in about 5 percent of the population. It may be genetic. Afflicted individuals may improve over time and lose some of their juvenile hyperlaxity as they age. Those affected over age 40 often have recurrent joint problems and almost always suffer from chronic pain. Back patients with hypermobility in the spine may also experience osteoarthritis and disc degeneration. How does benign congenital hypermobility affect joints? Hypermobility sufferers often have a decreased ability to sense joint position, which can contribute to joint damage. The resulting poor limb positions can lead to the acceleration of degenerative joint conditions. Many hypermobility patients suffer from osteoarthritis, disorders involving nerve compression, chondromalacia patellae, excessive anterior mandibular movement, mitral valve prolapse, uterine prolapse and varicose veins. People with a sedentary job often report back pain. 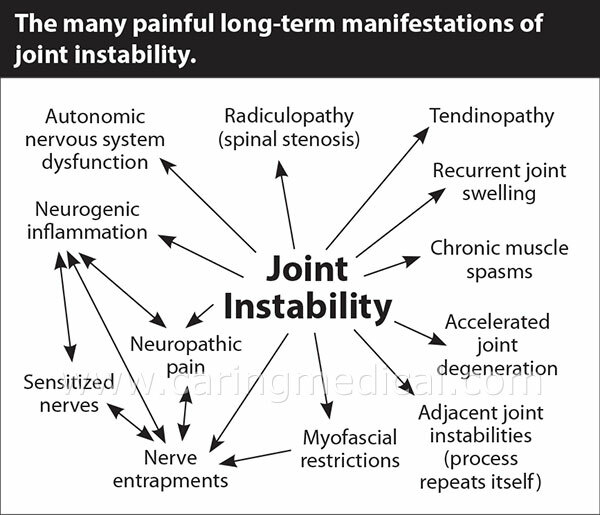 The underlying joint instability that develops in some patients with hypermobility causes these and a whole lot of other symptoms. Individuals with hypermobile joints can bend their elbows or knees past a position of neutrality. They can also easily touch their hands flat to the floor while bending forward from the waist. 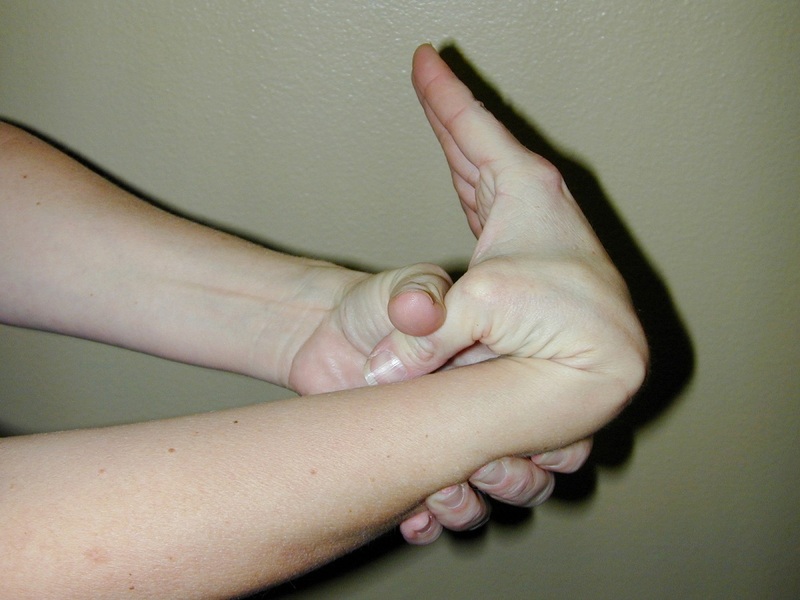 The ability to touch the thumb to the forearm is also common. Some cases of benign congenital hypermobility, however, can only be diagnosed with a medical examination. This is an area that our clinicians excel at, whether through a physical exam, musculoskeletal ultrasound, or Digital Motion X-ray. We have excellent results giving our patients accurate diagnoses and a more complete understanding of their condition and the joint instability that is causing many of their painful symptoms. Traditional medicine continues to search for drugs, devices and surgical procedures to eliminate chronic pain. Anti-inflammatory drugs have become a billion-dollar business. While the drugs may provide temporary relief, they do nothing to correct the underlying condition causing the pain. In fact, in the long run, these medications do more damage than good. 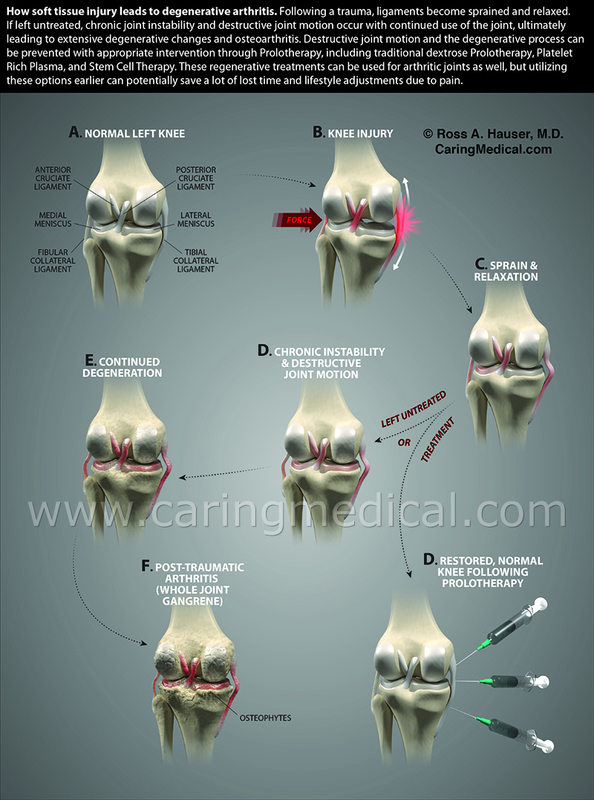 Another common pain treatment is a cortisone shot. It’s also one of the quickest ways to lose strength at the ligament-bone (fibro-osseous) junction. 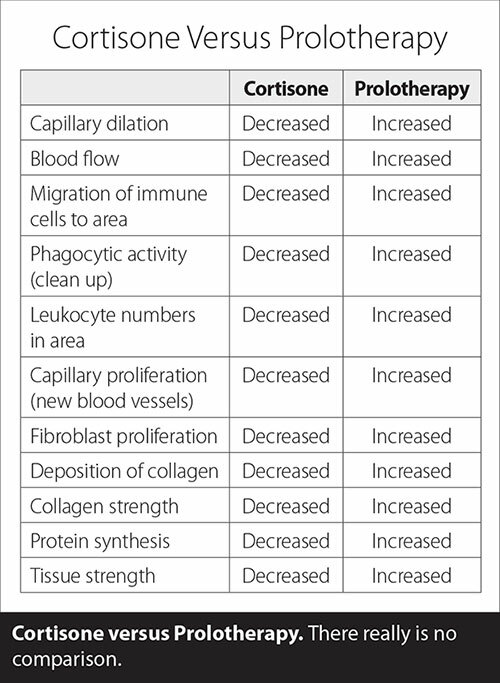 Cortisone and other steroid shots have adverse affects on bone, cartilage and soft tissue healing. Unfortunately, many people suffering from chronic pain look for quick relief without thinking about the long-term, potentially harmful side effects that could occur. The problem with cortisone is that, although immediate pain relief is possible, it inhibits nearly every aspect of healing, making the pain condition even worse! 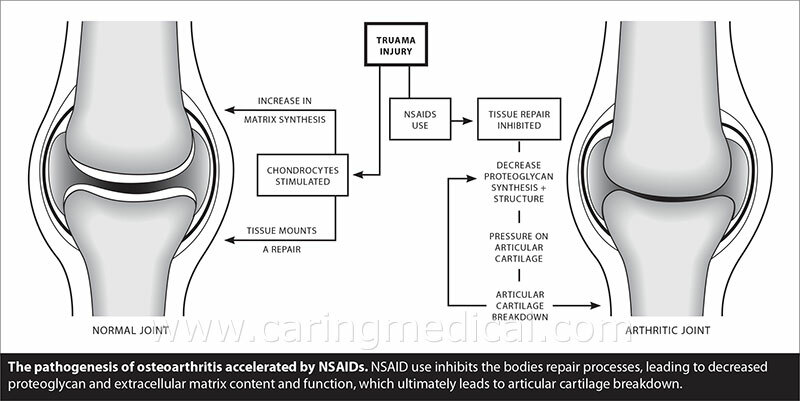 In simple terms, anti-inflammatory drugs and cortisone shots are anti-healing. 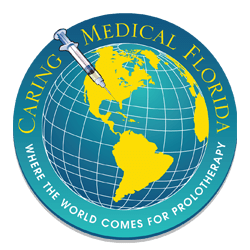 They result in long-term loss of function and even more chronic pain by actually inhibiting the healing process of soft tissues and accelerating cartilage degeneration. Plus, long-term use of these drugs can lead to leaky gut syndrome and other serious side effects. They do nothing but cover up the senses and progress painful disorders further. Finally, when all else fails, patients who experience chronic pain, particularly joint and back pain, are referred to a surgeon. Unfortunately, surgery usually makes the problem even worse. None of these traditional treatment options for hypermobility address the underlying joint instability that is causing the pain. When you need joints to be stabilized, the only area of medicine that specializes in this is Regenerative Medicine. 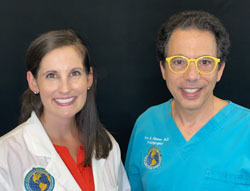 In our opinion, a better benign congenital hypermobility treatment is to stimulate soft tissue, ligament and cartilage repair with Prolotherapy, which can include injection solutions like Platelet Rich Plasma. You can read more about our comprehensive approach to treating hypermobility in this section. A ligament is damaged through overuse or trauma, such as a sports injury or an accident. Because of the ligament’s poor blood supply, it does not heal (unlike muscles, which have a good blood supply and heal quite easily). Over time, the injured ligament weakens, like a stretched rubber band that has lost its elasticity. Since ligaments function as joint stabilizers, the injured ligament is no longer capable of doing its job. As a result, the muscles must compensate. They begin to ache and spasm and, eventually, the joint or vertebra in the area begins to compensate as well. Overgrowth of bone occurs to help stabilize the injured ligament, which leads to arthritis, and a whole new level of pain and disability. This downward spiral of pain can be halted and reversed only by stimulating healing at the source—the ligament. 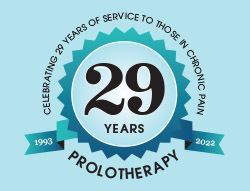 The only proven procedure that stimulates this kind of healing is Prolotherapy. In our research and clinical experience, Hackett-Hemwall Prolotherapy is the safest and most effective natural medicine treatment for repairing and strengthening ligaments in cases of hypermobility and joint instability. We would be happy to review your case specifically and see if you are a good candidate for regenerative treatments for hypermobility.